Comment	 The tail of the constellation Scorpious contains a variety of deep sky delights. The presented scene is dominated by the emission nebula known as the Prawn due to its arc-like shape at upper left. The nebula is also catalogued as IC4628 or Gum 56, named after Australian astronomer Colin Stanley Gum. 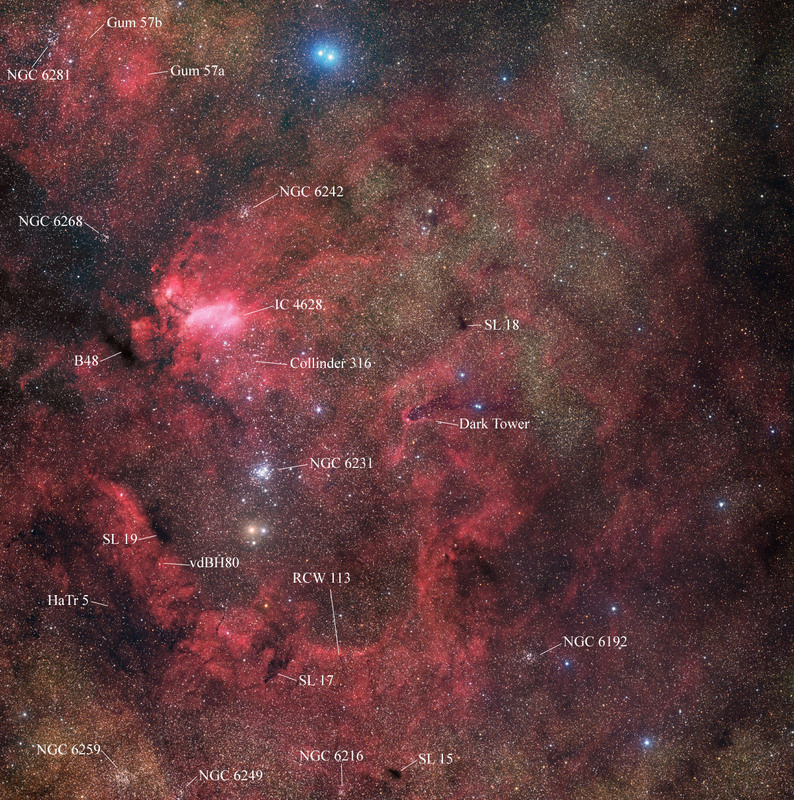 This nebulae complex location in the MilkyWay is rich in dust, star clusters and glowing red hydrogen atoms excited by nearby hot, massive stars that form part of the Sco OB1 association. Perhaps one of the more famous open clusters is that known as the Table of Scorpius, NGC6231 which can been seen shining brilliantly (mag 2.6 brightness) below the Prawn Nebula. IC4628 is approximately 5800 light-years distant. The image is a four panel mosaic, HaRGB composite.